Find below the list of top CBSE schools in Dehradun with phone number, address, 360° School tours, 2018-19 Admission forms & Fees, photos, facilities & more. 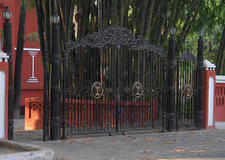 Welham Boys School is located in Dalanwala, Dehradun. It was established in 2004. This school follows the CBSE board. The school has English medium. Unison World School is located in Bhagwant Pur, Dehradun. It was established in 2011. This school follows the CBSE,ICSE board. The school has English medium. Lucent International School is located in Jhajra, Dehradun. It was established in 2003. This school follows the CBSE board. The school has English medium. Shri Guru Ram Rai Public School Rishikesh is located in Rishikesh, Dehradun. It was established in 1996. This school follows the CBSE board. The school has English medium. 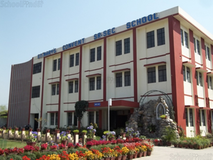 St Mary's Convent Senoir Secondary School is located in Vikas Nagar, Dehradun. It was established in 1988. This school follows the CBSE board. The school has English medium. Dehradun Hills Academy is located in Doiwala, Dehradun. It was established in 1990. This school follows the CBSE board. The school has English medium. 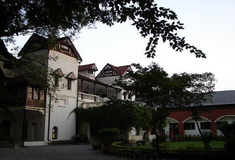 Dawa Rinjue School is located in Herbertpur, Dehradun. It was established in 2003. This school follows the CBSE board. The school has English medium. Kasiga School is located in Purkul, Dehradun. It was established in 2007. This school follows the CBSE,IGCSE board. The school has English medium. Shigally Hill International Academy is located in Guniyal Gaon, Dehradun. It was established in 2004. This school follows the CBSE,ICSE board. The school has English medium. Choosing the right school for a child is a daunting task. Making the job easier for you is Sqoolz. In order for your child to get admission to the best CBSE schools in Dehradun you need to study and analyze the list of top CBSE schools in Dehradun. With our detailed list of CBSE schools in Dehradun, you can get all the information you need.